Reach for the Stars on our Launch Pad Trampoline! The Launch Pad is one of our newest additions at The Arena Club. Kids of all ages can enjoy a 16-pad jumping surface with angled walls to jump, bounce, or play dodgeball in! Members can enjoy a fun way to stay active through open jump times, a game of dodgeball, or through special programs and events! The trampoline is also incorporated in many of our kids programs such as Arena Tots & Kids, Before & After Care, Pre-K programs, and camps! Trampoline use is INCLUDED with Arena Club Membership! 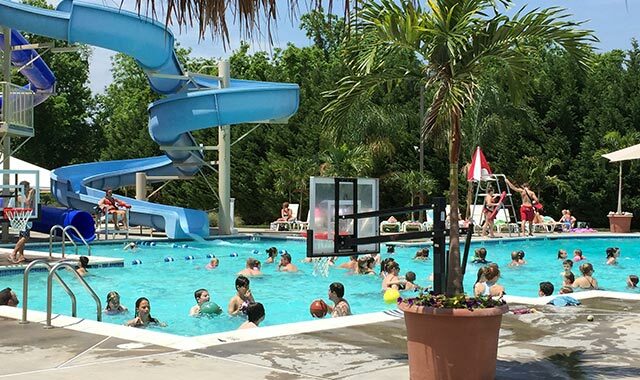 Non-members can also experience our Launch Pad at popular events such as Kids Night Out and Teen Night, or through Birthday Parties or private rentals. In order to participate in Trampoline fun, all participants must complete a Waiver and must wear Arena Club Launch Pad socks, which can be purchased in our Pro-Shop. Challenge your friends to a race to the top on our face-off climbing wall! Our 22’ double-sided climbing wall has clear acrylic panels that allow climbers to see their opponent as they climb to the top. 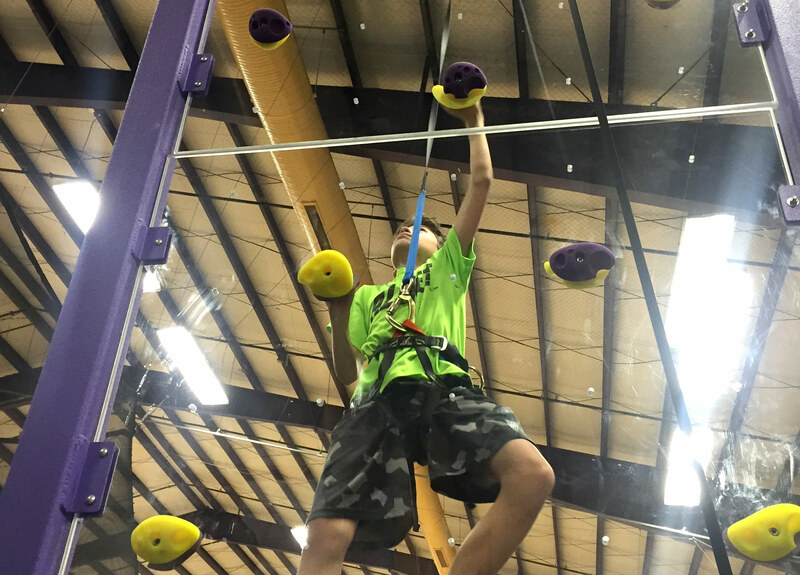 The climbing wall is included with membership and in many of our youth programs and camps.